Sultan Ensemble always brings their audience in a party mood with their interpretation of fasıl, light classical music from the Ottoman period. Although fasıl originally resounded in palaces and mansions, this music now cheers up the entertainment districts of Istanbul. Sultans Ensemble combines fasıl with Turkish classical music and takes you along on the idyllic sounds of oriental instruments such as the ud ( Arabic lute), the darbuka( vase drum), the qanoen ( table harp), and bendir( frame drum). 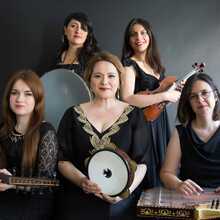 With their upbeat melodies and intoxicating vocals the 100 % female Sultan Ensemble invites everyone to sing and dance. A fasıl concert submerges you in the Turkish culture. The music traditionally goes hand-in-hand with a een rakıtable, with good snacks ( mezze), and the Turkish national drink rakı( with a Turkish I, to be pronounced like “rakkuh”). The audience enjoys in a loose atmosphere of the music , with which singing and dancing along is usual. A small mezze dish is included with each entry ticket, but when your famished you can order an extra plate for a reasonable prize. 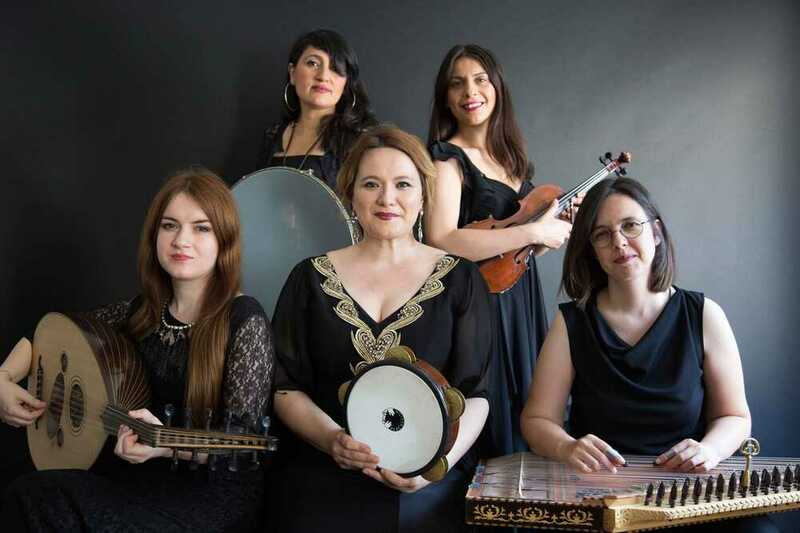 Sultan Ensemble = Sadiye Erimli (vocals & def), Buse Sever Yıilmaz (ud & vocals), Elif Sarısaltıkoğlu (qanoen & vocals), Bircan Yaman (violin) & Ayse Nur Yağız (percussion and vocals).